No franchise fees, Desk Fees, or whatever fees other brokers dream up! We don’t believe that there is any other broker offering such a simple and low-cost structure, while giving you all the tools necessary to be successful.. So, you truly get 100% at every closing! Work with A Broker Who Is Also A Leading Developer and A Real Estate Investor. How did you learn about Brinks Real Estate? If you are like many agents, it may have been that you saw or showed one of our Homes to a client. Never be without a buyer again. 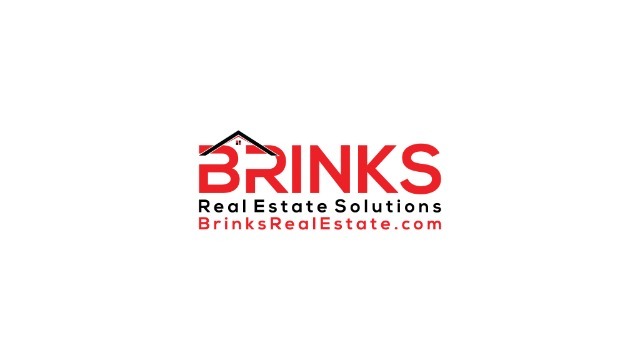 Brinks Real Estate Development, LLC is one of the largest home buyers in the Tampa Bay area. So, unlike traditional brokerages Brinks Real Estate isn’t here just to collect your fees and commission, we want to actually want to be your client. That’s right, put your negotiating skills to work knowing that you have a partner who’s ready to jump in to buy your next deal. We consistently have new inventory coming on the market. Beef up your database by holding an open house at one of our properties. Because we have a steady supply of inventory, we have a steady supply of leads. Broker provided referrals provided through third-party sources like Zillow, The Red-X, and Realtor.com. A Low Technology Fee of Only $75 Per Month You Gives You Access to The Industry Leading Technology. What Value! If purchased individually, the technology package we offer would cost an individual agent over $1,000 per month. 100% paperless and virtual office system that allows you to work from anywhere. The industries best IDX self-branded websites, superior tech support, and marketing training provided by KvCORE. The most advanced and artificially-intelligent CRM. It has the ability to identify patterns, customer intent, and recognize customer behavior that make it the best in the industry. It’s constantly prospecting on auto-pilot for you all of the time! No need to dial. When a lead comes in, or it’s time for you to follow up, or a motivated behavior is identified by the system will automatically call you the agent. It will brief you on who and why you’re reaching out to this prospect, provide talking points, and then attempt to connect you to the lead. Easily run adds on Facebook or Google Pay Per Click from inside your dashboard with no additional time or experience needed. Access to dedicated marketing coaches, via live chart support, live and pre-recorded webinars, and even do a one-on-one screen share with a Success Coach to help you get the most out of the platform. Additional free tools for marketing on Google, Facebook, and Craigslist, and more by creating targeted squeeze pages, landing pages, community specific pages, and much more. Your get your own personalized mobile app, Millions Mapped, that keeps you top-of-mind with you clients. KvCORE Open House App that replaces the tradition pen and paper sign in sheet and adds visitors directly into your smart CRM. The Red X with Storm Dialer to contact great seller leads. The Red X provides a lot of online training, dozens of lessons on calling, expired, FSBO, Probate, Pre-Foreclosure, and more. The latest online marketing tips and tricks using Google PPC, Facebook, Craigslist, Instagram, Pinterest. Proprietary marketing techniques and services that you won’t find anywhere else in the industry. Document storage, management, the best e-signing experience possible provided to all agents through Dotloop. While we have a virtual office platform, we a very much local, and involved in our communities. We strive to be engaged with the communities our agents work in. We encourage our agents to discuss with us their passion and ways we can give back to local communities in ways that are important to them. As a bonus to show our gratitude to you, every time you refer a new agent to Brinks Real Estate, we’ll waive your next month’s technology fee. What’s better than low-costs, best in class technology, and 100% commission? Free of course! Once you reach, and maintain at least 12 active recruits on our roster, your monthly technology fee will be waived forever!